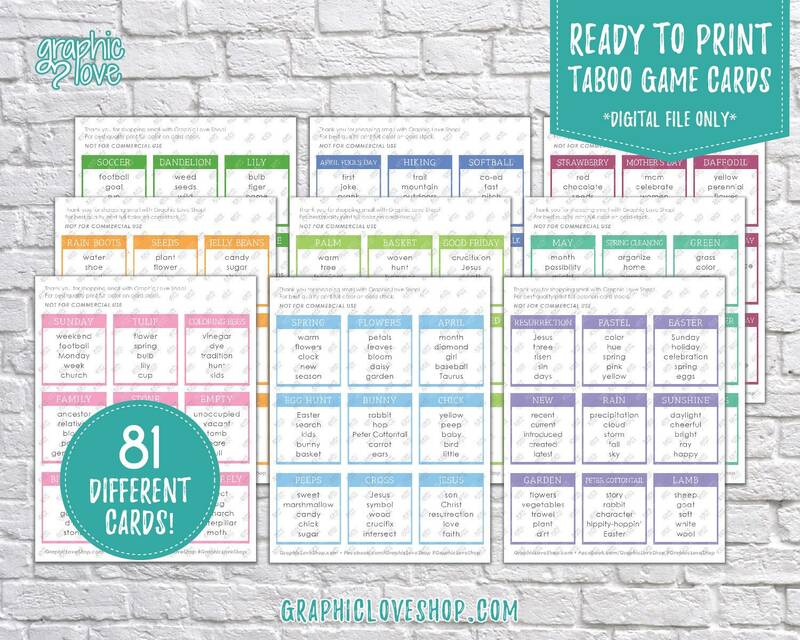 There are a total of 81 different taboo cards on 9 pages. You can print from home or take the file to a printer. Cut them apart and you are ready to play. Perfect for all ages! 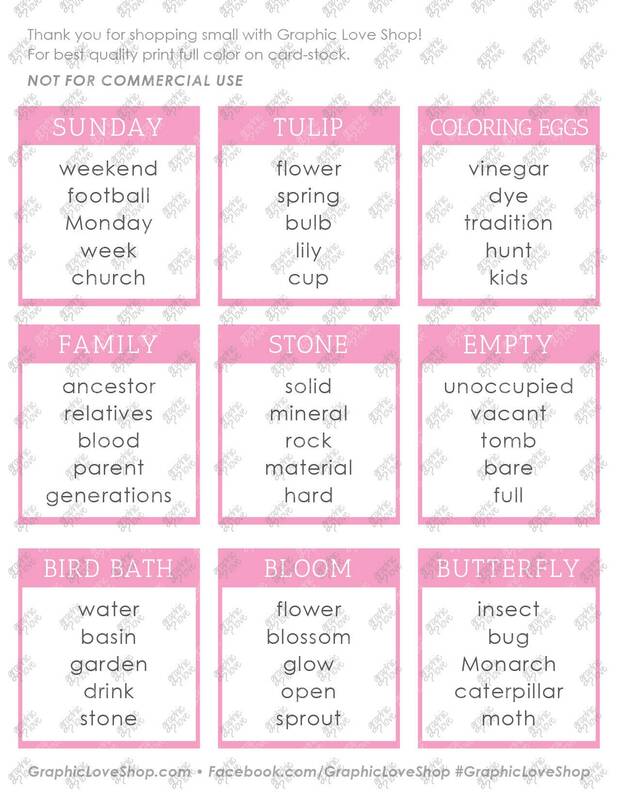 Use these cards over and over, and if they get lost or damaged you can always re-print!